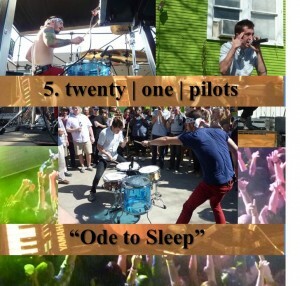 Twenty one pilots is my band obsession of 2013. Their self-titled album is my favorite release of the year and spent an inordinate about of time in my car stereo (even more than Biffy!). Their LA show at The Troubadour along with New Politics and Echosmith will go down as one of the best shows I’ve ever attended (yes I mean ever). My SXSW experiences surrounding the band were nothing short of epic. I can’t get enough of their unique mash-up of styles, crazy energetic live show, and lyrics worth thinking about. 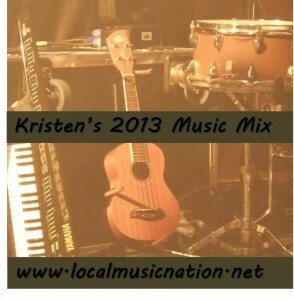 Posted in Music Mixes and Best Of Lists on December 27, 2013 by Kristen.